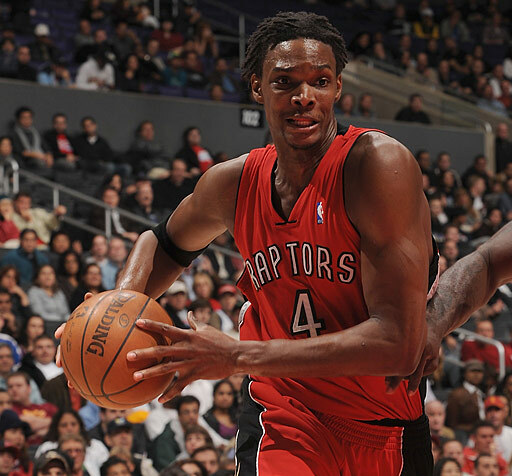 The NBA’s 2010 Free Agents – Who we Got? The biggest free agent blue-chip ever? Well, a lot has to do with the age of the Internet we’re living in, but still, probably no one has drawn so much media interest when ending his contract. LeBron is the key to this free agency, with everything effected by his choices, like Chris Bosh and Dwyane Wade said during the past weeks – It’s LeBron’s decision, and we’ll react according to it. The trio even got together this past weekend and talked about their futures. 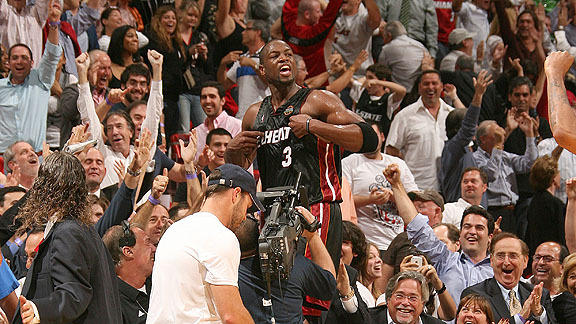 Certain reports indicate that Bosh and James have decided to join Wade in Miami, suddenly the new front-runners in the LeBron race, although Lebron is supposedly undecided about leaving Ohio just yet. 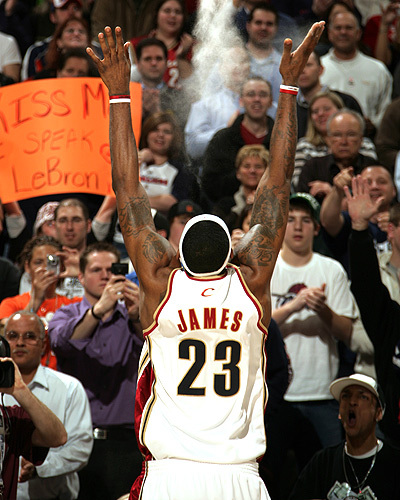 Cleveland, still without a coach, need to come up with something before the city sinks back into sport depression. The Bulls are still in the race, with enough money to land to maximum contracts (Bosh & James probably), with the Mavs also looking like a long shot option, but still there. New York, Jersey and the Clippers? It’s always nice to dream. 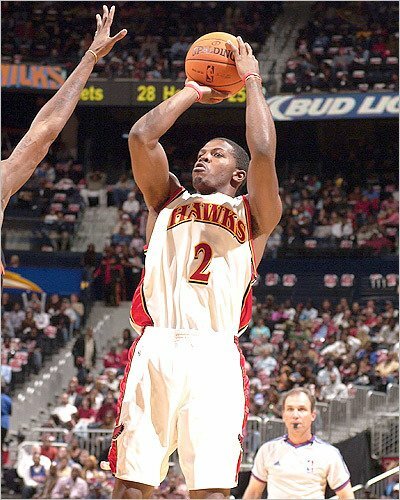 After another good regular season and a disappointing playoff performance, Joe Johnson is hoping for a max contract. Not sure he’ll get it – Atlanta want to keep him but I’m not sure they’ll do it for that much money. The Knicks seem to be the closest to him right now, with Amare also on their sights, also fishing for a max contract, which I’m not certain both of them deserve. 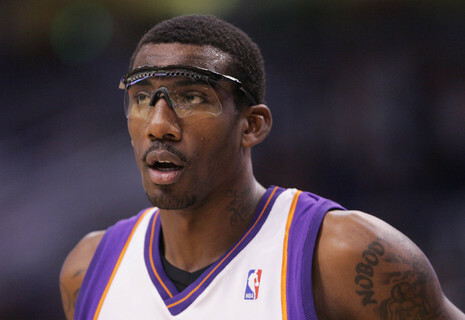 I’m pretty sure Stoudemire will get it from one team or the other, although Phoenix really want to keep him, for a not too shabby 17 mil a year. 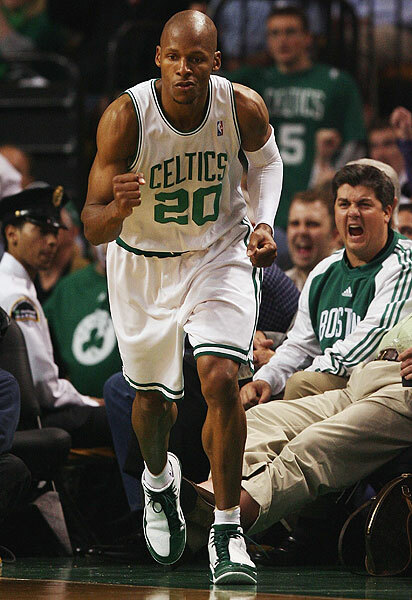 Ray Allen wants to stay in Boston. Ray Allen still got game (16.3 points last season). The problem is, Allen probably wants a long contract, and the guy is 35 in less than a month. The Celtics will probably be able to offer him something like 2 years/20 mil contract, but their main concern is Doc Rivers and Paul Pierce – getting the coach to say and getting Pierce to keep his contract and not opt out early. Allen is good and the Celtics want to keep this championship contending core together, but Allen is probably the most expendable piece due to his age. By the way, age – Shaquille O’Neal is a free agent, and it’ll be interesting to see how low he goes looking for a fifth ring, if he still has it in him. McGrady will also be looking for a much much lower contract than before (highest paid player in the NBA last season). 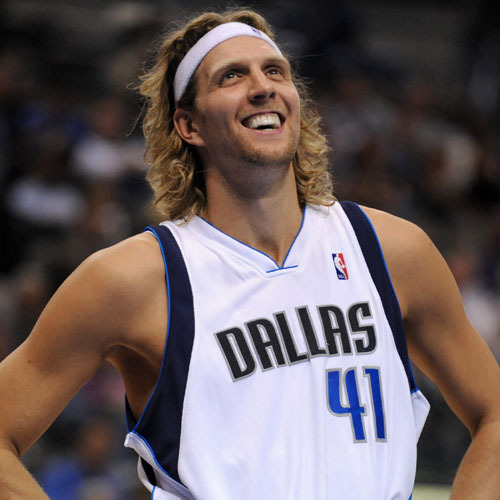 Dirk Nowiztki – According to reports, Nowitzki will be hitting the market come the deadline and test the waters. After a 25 points and 7.7 rebounds season, great as ever, there will be buyers for the 32 year old forward, but he will probably stay in Dallas, where he has spent his entire NBA career. 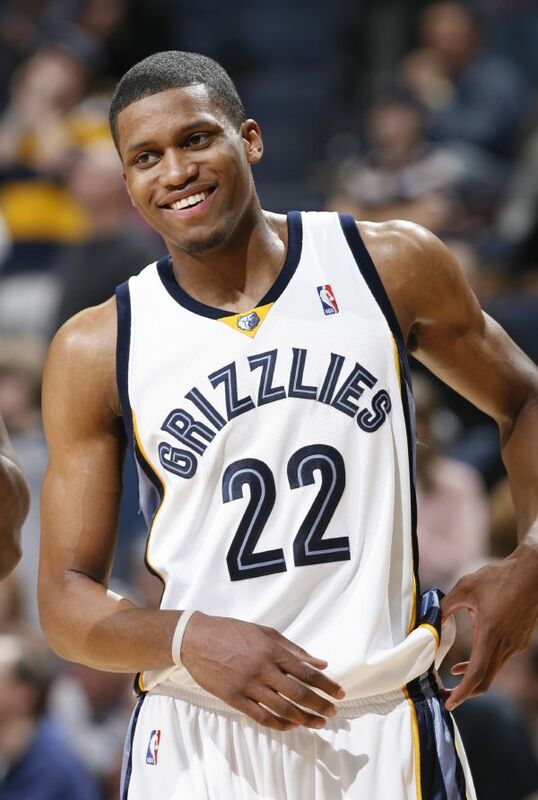 Rudy Gay – He’s restricted, so the Grizzlies can match any offer he gets, but it seems Minnesota are very keen on getting the 23 year old, averaging 19.6 points the last season on a very talented and full of potential Memphis team. The Rockets, Knicks and Nets are also looking to get their hands on Gay. Still, the Wolves have the money that Memphis don’t have to sign him, despite already picking up three small forwards in the draft, with Wesley Johnson going 4th. There’s another option of Al Jefferson going to Memphis after Gay does a sign & trade, but Memphis don’t seem to be too keen on taking the big-man. 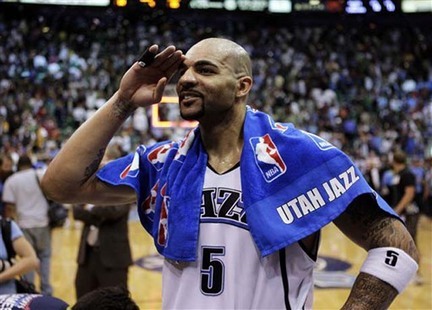 Carlos Boozer – Not wanted in Utah it seems, after six seasons, averaging 19.3 points and 10.5 rebounds but full of dissatisfaction from the fans and himself, oh and lets not forget the injuries – 354 games in six seasons, always failing to get by the Lakers. There’s a good chance the Jazz will sign him only to trade him somewhere, with Miami, New Jersey and Chicago taking interest in the power forward, all depending on what LeBron – Bosh – Wade do.